YOUR DREAMS MOVE US. 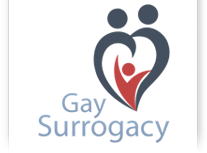 Here at GaySurrogacy, we have put together an extensive network of surrogacy specialists who want to help the gay and lesbian communities with compassionate, patient-centered care. For lesbian couples, egg donation is a key consideration, especially if the older of the two women wants to carry the pregnancy. The egg donor may be the younger women (genetic mother) and her partner is the birth mother. It is our goal to ensure that you feel comfortable and confident throughout your entire treatment experience by preparing you for the steps ahead. One of the most exciting and significant advances in reproductive medicine has been the introduction of egg donation. Egg Recipient. Initial testing will include blood tests and an SHG — an ultrasound procedure performed to determine if the shape of the uterine cavity is normal. Your cycle needs to be synchronized with your chosen egg donor. Fertility medications will prepare your uterus to receive embryos. Blood tests and vaginal ultrasounds are implicated to determine your uterine receptivity. Shortly before the embryo transfer, you will begin taking progesterone along with the estrogen in a way that parodists a natural cycle. Egg Donor. The egg donor will begin treatment with fertility drug injections to produce multiple follicles (fluid filled sacs that contain eggs). During this time, the development of the follicles is monitored by ultrasound and blood tests for estradiol. The synchronization of cycles is tremendously significant because the embryos will only implant if transferred during a short time span, after appropriate exposure to estrogen and progesterone. When the follicles are mature, the egg donor receives a hormone injection and the eggs are retrieved 36 hours later. The injection substitutes the natural luteinizing hormone in the body and initiates ovulation. Collected eggs are taken to the laboratory and placed in culture medium in preparation for fertilization. Most commonly, lesbian women use purchased sperm through a sperm bank. During IVF treatment, the lab prepared sperm and eggs are placed together in a dish where fertilization occurs. Embryos are transferred using a thin catheter introduced into your uterus through the cervix. Any extra embryos that are not used during a treatment cycle can be cryopreserved for possible transfer at a later time.